We have lots of branding opportunities with our flipbook photo booth including custom covers, bespoke backdrops and full vinyl wrapping of the flipbook station. Flipbooks make great wedding or mitzvah favours as the guests get to go away with a physical copy on the day with your event details on the cover. 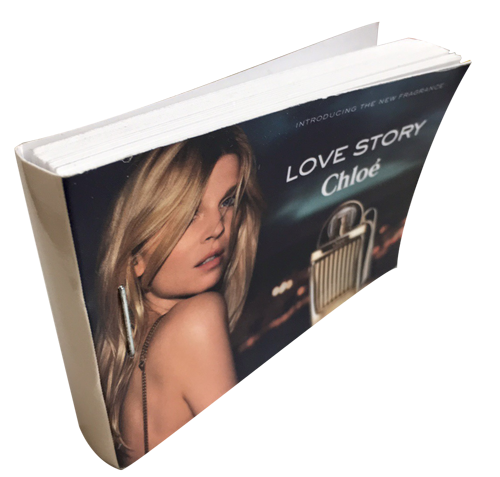 With the option of having a sharing station for the GIFs of the session our flipbooks can be shared in the digital world too, making them perfect for brand awareness on social media. Our flipbooks (or flickbooks if you prefer) are made on site from a short video of your guests that we film for 7 seconds then turn that digital movie into a printed book right before their eyes. Although we call it a flipbook photo booth, it is more of an open studio set up with a clean backdrop set up and the flipbook station, plus an assembly area. We have a choice of various backdrops to fit most themes and events, or we can also supply a custom printed one, or even use green screen. The entire process only takes around two minutes and at the end they get to go away with a 40 page business card sized book that when the pages are flipped plays the video of them. Furthermore they can also get free digital copies of the animations online too! We normally average about 40 flipbooks an hour, of course this is dependent on the speed of your guests and the number of takes they require to get it right. If you are wanting something truly unique we can also create flipbooks from our morphs or immersive GIFS! Want more information on our flipbook experience?